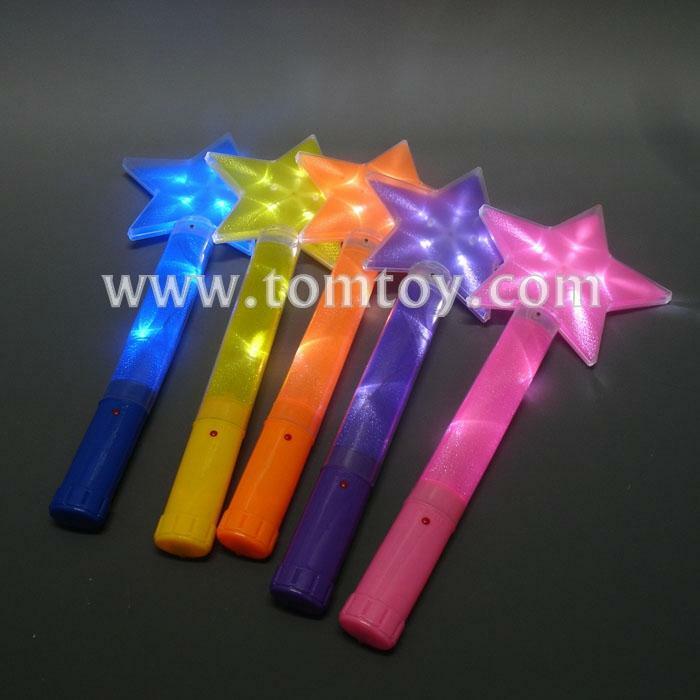 1.LED Star Wand suitable for 4th of July. 2.Five color assorted:pink,blue.yellow,purple,orange.You can order assorted color,also can buy one color. 3.Four flash mode:Flash- Fast flash- Change flash-Off. 4.Each Wand has 7pcs LED. 5.The wand is 15.4 inches long.